Get big sound in a micro package. The Phil Jones Bass BigHead is not big at all. In fact it is barely larger than a smartphone. The “Big” is about the sound. 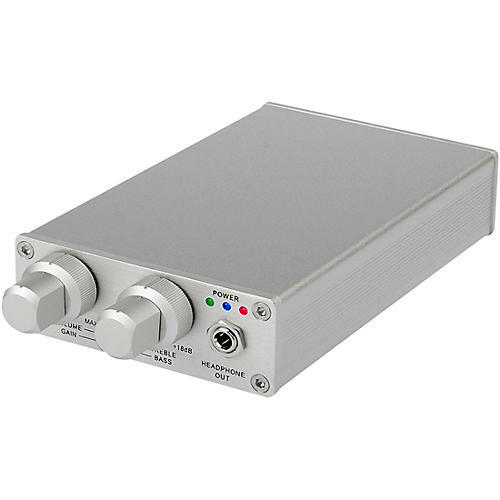 It functions first as an awesome bass headphone amplifier with 2-band EQ (+/- 18db @ 60 Hz and +/- 18dB @ 5KHz) set for optimization of all kinds of bass instruments. Unlike consumer electronic MP3 players and smartphones that have very small power output of around 20 milli-watt to drive headphones, the BigHead has more than 10 times the power. This contributes to a far more exhilarating listening experience with increased resolution and dynamics. Even if you are just listening to music, the BigHead will be a great improvement to your regular headphones, adding more listening pleasure.